9 on 10 people are crazy for taking pictures at every single moment. And when they have iPhone, they can’t stop themselves doing this due to obviously a high-quality camera that iPhone offers. iPhone also provides some built-in features to give touch-up to the photos. However, there are many times we come across a situation when we find a picture awkward due to some unwanted objects. Many times, we feel the need to remove people from photo when they are wandering here and there in the picture. If you are also one of them, we are going to offer some third-party apps that will fulfill this need of yours. TouchRetouch is one of the well-known and powerful apps to remove objects from photo. If you are looking for a reliable app for the object removal purpose, TouchRetouch can be a sound choice. Although it comes with limited functions, the performance is undoubtedly appreciable. It will take 24.2 MB and you will have to spend $1.99 for it. This object removal app’s amazing features include line removal, repairing (blemishes or imperfections) and more. Let’s get to know more about TouchRetouch. A clone stamp tool is available with the app that can help in duplicating your objects. The app is able to recognize the lines such as telephone wires, antennas etc. and will remove it if you want via its line removal tool. You can also set the thickness of the lines with TouchRetouch. It offers you to have a view on the image and compare it with the one before editing. Many of you have heard about Photoshop and many of you may think that it is used by professionals merely. Well! 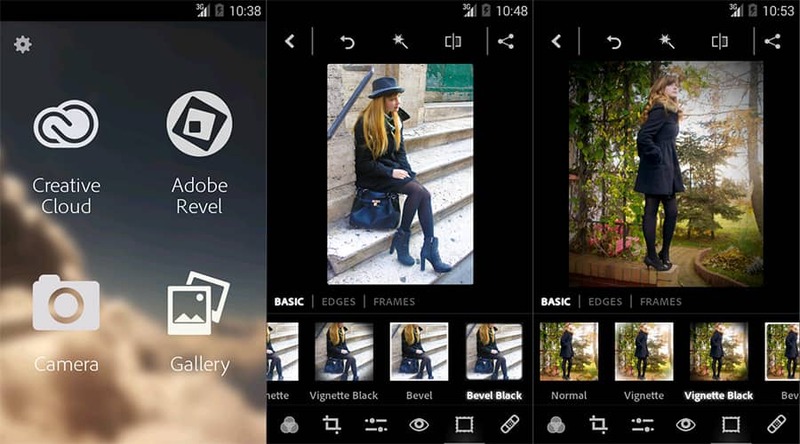 The good news is you can also work with it easily in your iPhone and Adobe Photoshop Express is next object removal app in this list. Not just object removing, you can carry out many other amazing things using its various features. It will not charge any penny of yours and is able to support only JPG and PNG formats, less than 16 MP and 8191 pixels. 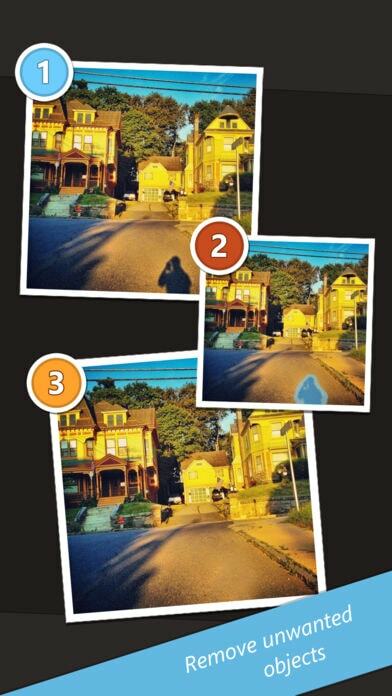 Here is another iPhone photo editor app that can help in removing unnecessary objects from photos. Packed with numerous features, it can be considerable when you want to execute some creativity like 3D transformations. This app will take $1.99 to take delight with the features. 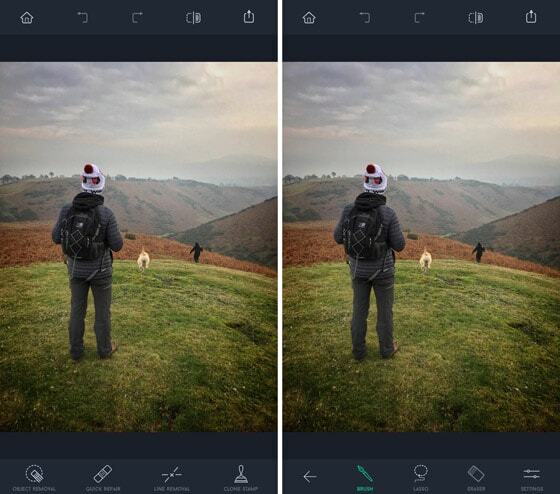 As we said the app is feature-rich, some basic features comprise cropping, adding filters, color correction, adding text and frames to photos and more. Via Enlight, you can also enjoy tilt-shift effect to get the miniaturized look. 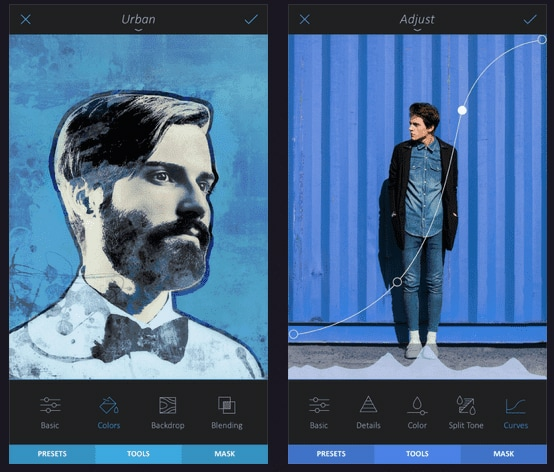 Not just this, this app has the ability to get your images turned into artistic paints and sketching. Multiple fonts, add drop shadows, blend feature as well as meme feature to create funny ones, all are available with Enlight. In spite of this, you are not allowed to share your creation directly to the platforms like Instagram. However, it can help in making the picture perfectly insta-ready. Also, you can turn your images into posters, prints, cards etc. 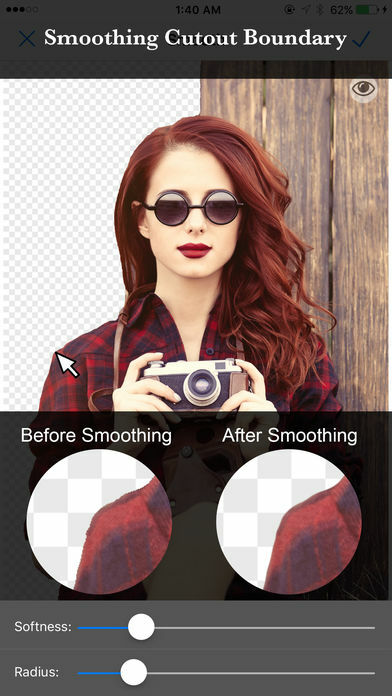 AirBrush is a further photo editor to remove objects which has been successful in getting as high as 4.9 ratings and reviews by the happy customers. 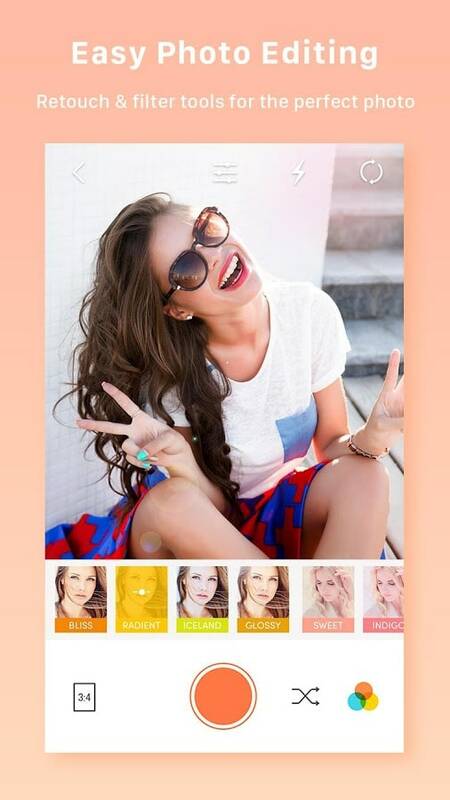 This app is ideal for those who are particular about how their face is looking in the picture since it will make your face perfect by removing any acne, blemishes, making it glowing and smooth, whitening teeth, widening smile and even helps if you love plump lips. Along with removing things, you can also use this app to add something when needed. You get themed filters, light effects, vignettes effect, lots of looks etc. Brightening eyes, shaping the face or adding volume to the hairs are some other powerful features of AirBrush. You can also use Eraser+ as an iPhone photo editor app which gives you the power to remove people from photo as well as objects within a couple of seconds. The most powerful feature it embraces is clone stamp brush with the help of which you will be allowed to clone parts and blend objects in the background easily kind of similar to TouchRetouch. The price you will need to pay for using the app will be $0.99. There is an undo and re-do buttons so you can avoid wrong mistakes and undoes. With the help of Eraser+, you will also permit to save the pictures in their primary size. After removing objects and making your files flawless, it lets you share your images to Twitter, Facebook, and SMS/iMessages etc. The last photo editor to remove objects is Image Eraser whose most interesting part is helping in removing watermarks from the photos. Not just this, you can remove people also if they are not needed in the picture. Image Eraser will cost you $0.99 which is not considered much when you are craving for quality. Power lines, logos, people, text or any unwelcomed things can be easily removed from the photos. Your iPhone and iPad are fully compatible with the app and till now it has been able to achieve 2.5 ratings on 5. So here ends the list of some refined apps for removing objects from photo and we hope you could figure out yourself about which one will be your preference. From these 6 apps, some are feature-rich while some are not full of so many features yet powerful. Choosing the one is totally your call and it will be great if you would share your experience using one of those apps. We would like to appreciate you for making time to read this post. You can contact us if the post helped you, if there is any query or if there is any other app in your mind that we missed. Thank you!